High quality poster printing onto 180gsm semi-gloss material. 1440dpi printing using eco-solvent inks, ideal for internal displays. Can be used for up to 6 months externally in sealed units or pavement poster printing display units. We also offer an Express Poster Printing Service, offering same-day or next-day printing – starting at £15.50 per square metre. High quality poster printing 180gsm semi-gloss material. 1440dpi printing using eco-solvent inks, ideal for internal displays. Can be used for up to 6 months externally in sealed units or pavement poster display units. 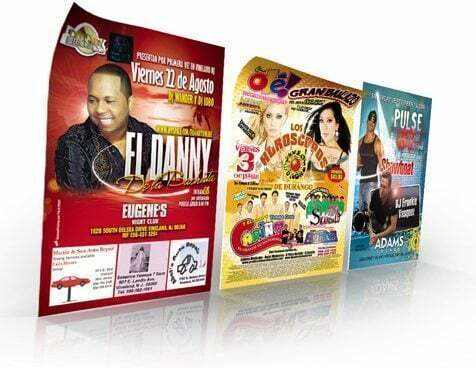 Printed posters can be laminated with a gloss or matt film. Please ask for details. Standard delivery turnaround is 5 working days from confirmation. Need your posters quicker? Call us for details.